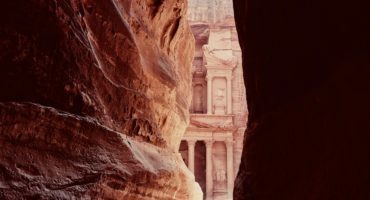 Welcome to Jordan, a land rich in natural wonders and ancient sites, you’ll be met with history, culture and questions aplenty. Moses is said to have led his people through the parched Jordanian deserts, while Alexander the Great paved the way for Hellenistic cities and the Natabeans carved grandiose buildings, temples and tombs out of the red Petra sandstone. Visit the Citadel, the grand Roman Amphitheatre and the Archaeological Museum in Amman. At Mount Nebo take in the astounding view of Moses’ Promised Land and in Petra explore the ancient and hidden ‘rose-red’ city with your Travel Director. With Insight Vacations gain access to exclusive experiences: • In Amman visit the Iraq Al Amir Women's Association and engage in one of many handicraft activities. Welcome to a land rich in Arab culture, natural wonders and sites so ancient that by comparison, the Crusader forts guarding the old trade routes are considered recent additions. Step back into Biblical times, as you see iconic religious sites and uncover hidden gems across Israel and Jordan. Once the marching grounds of Roman legions, Muslim armies and Christian Crusaders, this part of the world is a fascination of cultural riches and antiquity. When to go: Head to Jordan between April and November for the warmest climates. December-February offer cooler temperatures and allow you to beat the crowds. Standard of 230V, with a frequency of 50Hz.